The prevailing narrative surrounding Interpol is that they have been a band in perpetual decline since the arrival of their critically-acclaimed debut 'Turn On The Bright Lights' in 2002. While such a narrative may be unfair, sophomore record 'Antics' and its follow-up 'Our Love To Admire' both enjoyed commercial success and largely positive reviews, their fourth LP 'Interpol' was less successful. An album that seemed bereft of spark and vitality, 'Interpol' became muddled in its own intricacies leaving fans and critics nonplussed. 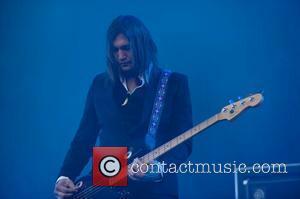 When bassist Carlos Dengler left the band following the completion of their fourth record, it looked like Interpol as a band could be on the ropes. The argument that Interpol's best days were behind them seemed more persuasive than before. Fast-forward to 2014, however, and things have changed. If anyone thought that the departure of Carlos Dengler was the final nail in Interpol's coffin, 'El Pintor' shows those predictions to be premature. Bristling with the tense energy and slick style which has characterised Interpol's best work, 'El Pintor' is exactly the shot in the arm the band needed. Towering single 'All The Rage Back Home' channels Interpol's trademark intensity; screaming tremolos sounding out over a tight rhythm section that's clinical in its execution. 'My Desire' reveals a previously rare glimpse of singer Paul Banks' falsetto, giving the song the added texture it needs to keep Interpol's sound fresh and interesting. 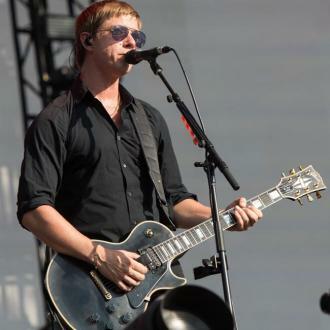 In fact, Paul Banks' falsetto proves to be something of a hidden weapon which permeates the whole of 'El Pintor'. It doesn't always work, on 'Ancient Ways' it sounds forced, sudden and uncomfortable, but when deployed effectively on 'My Desire' and 'My Blue Supreme' in particular, it provides a contrast to Banks' default baritone which allows Interpol to add a strong new dimension to their sound. It is this refinement of sound that is most striking across the album. 'El Pintor' is not a revolutionary record. In many ways, 'El Pintor' is a back-to-basics record. It takes the most effective elements of the sound which has helped to define the band and makes subtle adjustments which keep the band's sound moving forward; evolving not stagnating. Album highlight 'Same Town, New Story' is a case in point. It feels like classic Interpol, but the cold steeliness of much of the band's previous work is removed, with lilting harmonies and a softer melody taking its place. 'Breaker 1' harks back to 'Obstacle 1' and 'Obstacle 2' from 'Turn On The Bright Lights' both in terms of name and style, but rather than a tired rehash, it sounds sharp. 'Twice As Hard' and 'Anywhere' might sound familiar, but only in that they sound like Interpol at their finest, recapturing a sound and style that made them one of New York's finest exports in the early 2000s. From the first minute to the last, El Pintor is the sound of a band reconnecting with its roots and roaring back into life. 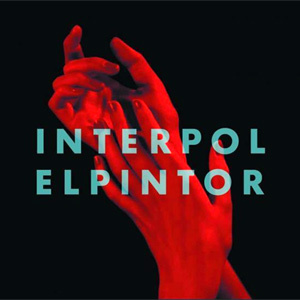 If ever a band needed an eye-catching return to form it was Interpol, and 'El Pintor' has delivered.